Why Have Medical Treatments in France? Home > Countries > Why Have Medical Treatments in France? When you are weighing up the pros and cons of choosing the country to visit for your medical treatment France must surely come near, if not at, the top of your list. The World Health Organisation has placed the healthcare in France at number one out of 196 countries, and the facilities and medical treatments available are second to none. 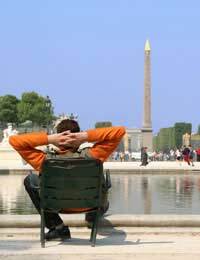 Without doubt one of the biggest attractions when choosing France for medical treatment is the cost. Medical treatments in France many not be the cheapest you can find in Europe, but they are certainly less expensive than in the UK. You can expect to pay around 30% to 50% less for operations in France; for a procedure such as a total hip replacement you will save around £3000. Travel expense should be a major consideration when travelling abroad for medical treatments, and France is one of the easiest and least expensive countries to travel to. There are a number of frequent low cost flights to France from British airports, most of which can be booked at short notice. At around an hour’s flight time from London, the journey should not prove any discomfort if you wish to fly back straight after an operation. The flying time should also be a consideration if having operations such as knee or hip replacements. Deep Vein Thrombosis has been a worry for many people when flying after an operation; but flights less than two hours will not cause any occurrences of DVT. There are a number of other travel options to France such as by car using the Eurotunnel, or the train using Eurostar; both are easy alternatives with short journey times. Many people have voiced concerns regarding the standard of care with medical facilities abroad. France has exceptional standards of healthcare, and also has world class medical facilities and state of the art technology. Doctors in France undertake eight years of training to become a medical doctor; a surgeon must undergo 11 years. Doctors must be registered with the French medical council, and the French Ministry of Health oversees all accreditations of France’s healthcare facilities. Other associations include the French Union of Surgeons and the French Association of Surgeons. Apart from financial costs, short travelling time and high standards of care, there are a number of other reasons why medical treatments in France are a good option. One of the best ways to get information on medical treatments in France, and the clinics that perform them is to use a medical service provider. Not only will they have undertaken research on the facilities of the clinics they use, but they will also be able to provide accommodation, flights and consultations with surgeons. The internet is a useful tool in order to find reputable medical service providers; the best providers will answer as many of your questions as required, arrange for you to speak to surgeons, have guarantees in place, and arrange for you to view testimonials from previous clients. As you would expect from a country the size of France, there are numerous specialist clinics in many of the cities. France is highly regarded in the fields of cosmetic surgery, obesity surgery and orthopaedic procedures. The advancements in these particular fields are equivalent, and in many cases better than you will find in the UK. Other medical treatments in France include dentistry, cardiac care, heart surgery, and plastic surgery. Without doubt France ticks all the boxes when it comes to the benefits of medical treatments in countries abroad. You can also combine a holiday in France with your medical treatment and you will still come out ahead financially, compared to having the same treatment on its own in the UK. Thousands of patients travel abroad every year to France for medical treatment and have found the experience to be a very positive and rewarding one.